Many countries around the world are increasingly moving towards becoming cashless societies, through the advent of NFC payments and nearly ubiquitous adoption of credit cards. A new Chinese documentary, however, is looking at how it is to survive exclusively through the use of Bitcoin. More specifically, the documentary ”Bitcoin Girl” follows a young woman from the coastal province Fujian who tries to not only survive but thrive on 0.21 Bitcoin, roughly $1,400 at the start of the experiment, over a period of 21 days. The woman is referred to by her online identity ”He Youbing”, which roughly translates to as ”having a disease” – a nickname she has earned through her enthusiasm for the cryptocurrency. The documentary is produced by an independent team of filmmakers known as ”Team 1234”, and the multi-episode series is currently streaming on the video service iQiyi – a service oftentimes referred to as ”China’s Netflix”. The series takes He Youbing to some of China’s largest cities, such as Beijing, Shenzhen, Guangzhou, and Shanghai, and Youbing has been preaching and educating the population about the blockchain over the course of the experiment. She has been forced to convince shop owners and strangers to accept Bitcoin as a valid means of payment for everything from accommodation to food and even regular banknotes. The experiment has showcased that there is still a sizable portion of the Chinese public that is uninformed about Bitcoin in particular and cryptocurrencies in general. Moreover, the series has seen its fair share of drama, as He Youbing passed out whilst in Beijing due to low blood sugar levels. Subsequently, Youbing contacted a friend she had gotten to know through a cryptocurrency chat group, who sent her to the hospital. 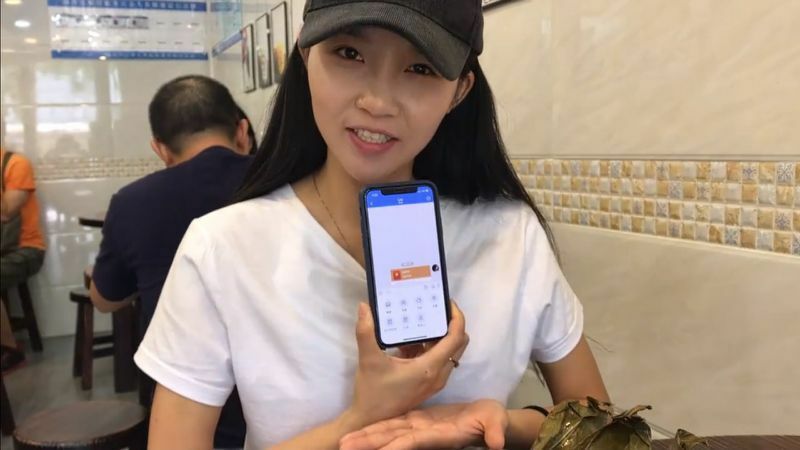 Nevertheless, Youbing has also found ventures accepting Bitcoin, and she was at one point able to sell some Bitcoin to a yoga teacher, giving Youbing some traditional bank notes to use for accommodations. Furthermore, this comes as China’s government has increasingly taken a tough stance against cryptocurrencies, which includes a ban on payment services accepting cryptocurrencies. This follows last September’s ban on cryptocurrency exchanges and ICOs from Chinese regulators. In addition to this, the Chinese government’s hesitant stance against cryptocurrencies has been much discussed due to the government’s somewhat contradictory initiative towards adopting blockchain technology. The series has not yet concluded, but Bitcoin Girl has reportedly made a splash In China’s domestic cryptocurrency community due to showcasing the existing – and sometimes lack of – infrastructure for cryptocurrency transactions in China.